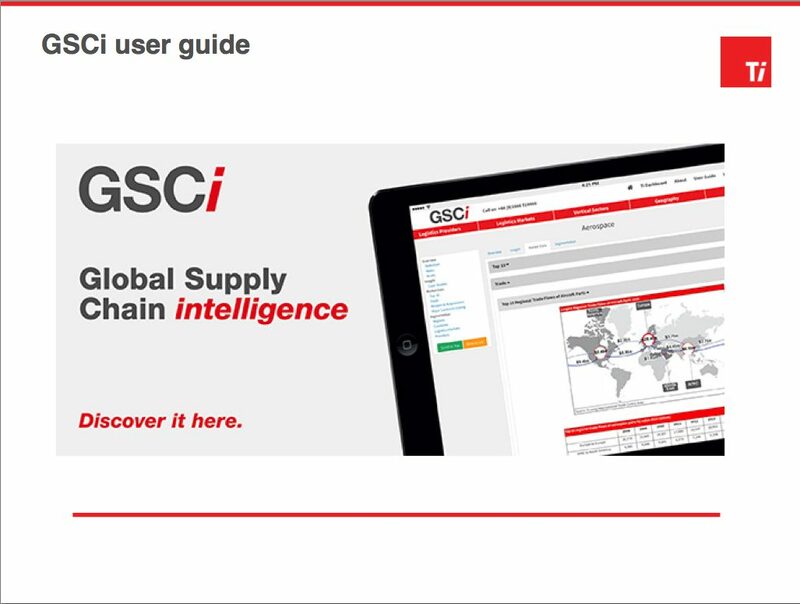 Global Supply Chain Intelligence (GSCi) is a newly developed online knowledge portal which allows users to manipulate unique data and analysis dedicated to the industry. How will it save you time and money? Content is kept completely up to date by a dedicated team of researchers and analysts, accessible anywhere in the world through online subscription. What do you get from a GSCi Portal subscription? 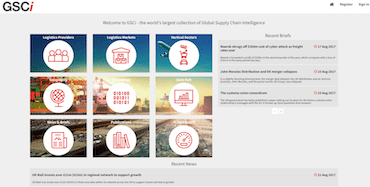 The GSCi portal provides complete access to the world's logistics and express industry intelligence, examining all aspects of this dynamic sector from profiles to market size and forecasts. Comprehensive logistics provider profiles plus an overview of some end users. Detailed intelligence of vertical sectors and logistics markets, containing trends & developments, market size and forecasts. In-depth studies by region and by individual country, covering all aspects of the logistics and transportation industry. Comparisons across many different indices of revenue, tons, TEUs etc. It contains examples of largest logistics hubs of ports and airports within regions, largest global providers within markets and container fleet sizes. Ti's full library of Whitepapers, Special Features and briefs available to download individual PDFs designed to promote interest and discussion. A range of webcasts and audio addressing various topics within the transport and logistics industry plus access to the presentations Ti's experts have designed for conferences around the world. The Dashboard provides over 90 charts and tables of the most important macro and industry specific indicators from around the world, keeping you right up to date with the latest trends and developments. To provide its customers with continuing competitive advantage, Ti has combined leading industry knowledge with the latest technology to create an exclusive web-based intelligence portal, GSCi. A short guide to help you get started. Download a User Guide for this site.